Like many of you, I am very nervous about taking medicine. It isn’t that I’m anti-medicine per se, but I’m reluctant to take medicine just because a doctor prescribed it to me. It feels like sometimes doctors just want to take the easy way out, rather than help you truly overcome the issue. For example, I would rather find a way to deal with stress and anxiety naturally than take a prescription. To me, prescriptions should be reserved for bacterial infections or illnesses where you really need medical intervention. For this reason, I love looking at herbal and natural options. Luckily, I found the perfect book for helping me find the right options for my own body – The Essential Guide to Women’s Herbal Medicine. The Essential Guide to Women’s Herbal Medicine: What is It? Looking for a book with valuable information on how you can take control of your health with herbal medicine? If so, we think you will love The Essential Guide to Women’s Herbal Medicine by Dr Cyndi Gilbert. 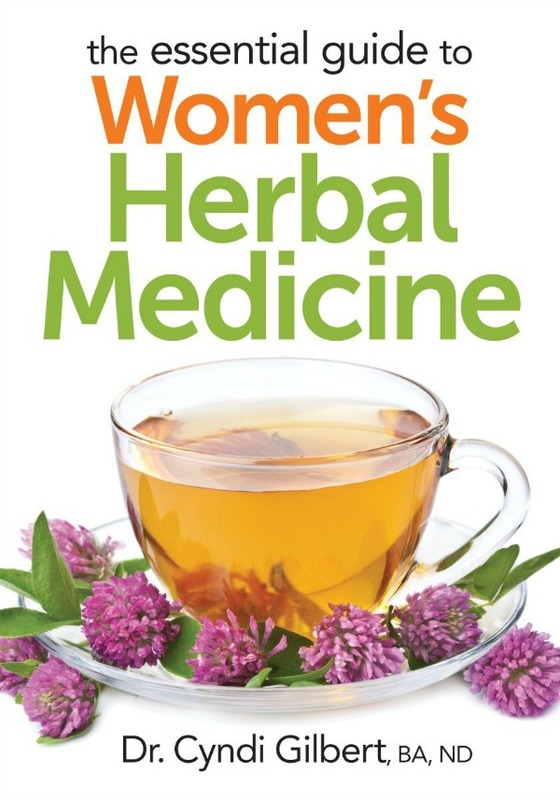 In this informative book, Dr. Gilbert works to make herbal, natural medicine less confusing and overwhelming to women who are hoping to take control of their own health through herbal medicine treatments. With easy to read instructions and a profile of 49 commonly used herbs that can easily found anywhere, you can learn everything you need to take control of your own health safely at home. Honestly, I am extremely impressed with this book. I have read other women’s herbal medicine books and none of them are as comprehensive and down to Earth as this one. It is very easy to read and I love the explanations for many common issues us women face – especially PMS. As I was going through this book for the review, I was quickly making a grocery list to make sure I could pick up everything recommend to help with my PMS and make things that were suggested in some of the case studies. I also love being able to see the medical evidence and studies to back up the suggestions, making it clear that this isn’t just opinion, but fact. Really, I can’t wait to go more through this book as time goes on and see how it can help me take control more of my own health. Based on my own experience, I am delighted to give The Essential Guide to Women’s Herbal Medicine an A rating. Want to purchase this awesome book for yourself? You can buy The Essential Guide to Women’s Herbal Medicine on Amazon.com for only $19.33. With this awesome book, you will find that herbal medicine is easier to understand for just about anyone! I agree, a lot of doctors push medication on their patients, medications that are pushed on them by the drug companies. The Essential Guide to Women’s Herbal Medicine is a wise purchase. I would be interested in reading this.I do know that if you take any prescribed meds that you have to be careful. Even with herbs, there may be an interaction. What a great book to have on hand! My mother would love to have a copy too! This sounds like an excellent guide for herbal medicines. I love how it explains medical facts and studies to provide support for the herbal medicines. This sounds like an interesting book. I think I will purchase it. Thanks! This book sounds amazing, and definitely something I will check into , I am always trying to better my health and those around me. I like using natural medicines as much as possible. I’ll look for this book. I’m an advocate for using herbal and natural items instead of prescription medications to treat health problems, I’d love to have this book to learn about all the herbal remedies available. Thanks a lot for posting! Omg i NEED this book!! The last few years I have been studying and learning so much about herbs. Hence the ever expanding herb garden!! I like using natural alternatives to medicine. No taking pills that could harm you. I like the description of the book, and will be checking it out. wow I have been wanting to get into herbal medicine so this is cool! Thank you for sharing.I would rather use natural remedies than take pills and chemicals. This sounds great, there are so many resources out there, but I never know what to trust!! This guide sounds like something I need! This sounds like a great book. I’m always looking for alternative ways to improve my health. Thanks for a great review. I NEED a copy of this book! My friend has started growing all kinds of herbs and I would love to know what to use them for. She’s always trying to share with me! I so enjoy reading books like this. I like learning and seeing how we are getting back to basics. I would like to read this book. Thank you for the great review. I’m going to show this to my niece, I think she would be interested. She has Lyme disease and she’s a naturopath and she is now on a very strict diet, no dairy, no gluten, no sugar (not even artificial), only a few types of nuts, no yeast, no meat….! This sounds like such an interesting book! I really would love to take a more natural approach to things and not rely as heavily on traditional medicines and doctors! I would like to learn more about herbal medicines. I don’t like taking regular prescriptions. What a great book! I love to use natural remedies before I have to use prescription meds! Thank you for the review! I have been using natural herbs and teas for a while now. As all pills and medicines you take you still have to watch and read up on them.This looks like a great book I would love to read and learn more.I have to take so many medications if this would help out it would be great! Thank you so much for so many details about the book. I love to read this. I always like learning about herbs and their benefits. I like to try natural remedies before using medications. Looks like a great book and I usually read reviews before I purchase a book. I like that your review stated that the book was down to earth and comprehensive which is great to know. I’ve found some herbal books are too simple or full of terminology that difficult for most to understand. I hate taking prescription medicine I love the power of natural herbs without the side effects of man made meds, I buy many herbal teas. With spring in effect my allergies are in full swing so I am drinking lots of cold remedy teas. Wow. This seems like a good book! I lived in the rural are during my high school days and due to the long distance to town my grandmother grew a garden in her house. I hope get my hands on this book one day whenever I get to make a paypal account. This should be interesting.